Create wearable art with Marabu Fashion Spray. 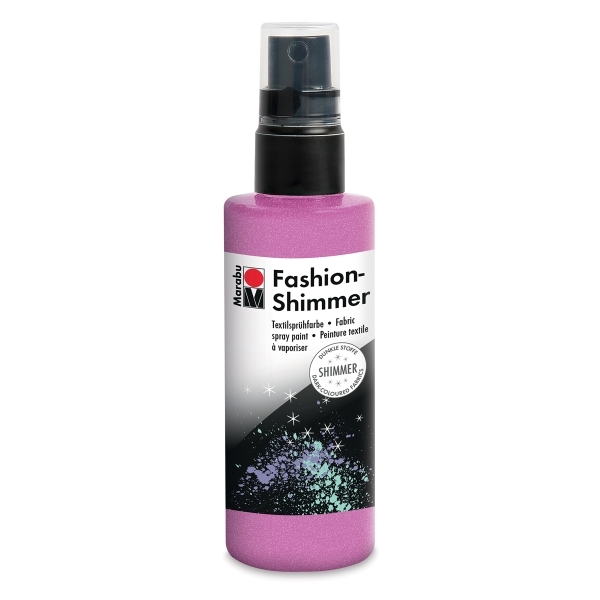 The waterbased textile paint comes in pump-action spray bottles for easy application — all you need is light-colored fabric and an idea. Odorless and non-fading, spray paint is available in a wide range of brilliant colors. Especially beautiful on dark fabrics, this shimmering fabric paint brings a dash of sparkle to any project. Like Marabu Fashion Spray, it's odorless, lightfast, and washable once heat set. It's excellent for stenciling, twisting, and freehand designs.